You have woken up in the middle of the night for your midnight snacks, you turn on the light of the torch and your eyes popped out on seeing roaches down the floor. This type of incident is quite common in every house. The complaints of roaches in Perth crop up every time. The nocturnal pests, cockroaches, will quietly crawl from their nesting spots when lights are turned off. These pests prefer to dwell in dark spots. Seeing roaches behind stoves, under sinks, refrigerators and inside the appliances should not shock you, as those are the favorite hang-out zones of roaches. Generally, it will be tough to see roaches in day time. You will not be able to see roaches unless there is a large infestation in your house. If you know the signs of infestation in advance, then you will be able to tackle the roaches effectively. It is recommended to go for cockroach treatment from a pest control company. If you are looking for a reliable pest control company in Perth, then you should try our pest control company which is widely known for its pest services. You can book our inspection services to rule out roaches from your living space. You might see different cockroach species in the surrounding territory. The color, shape and size of roaches might vary. 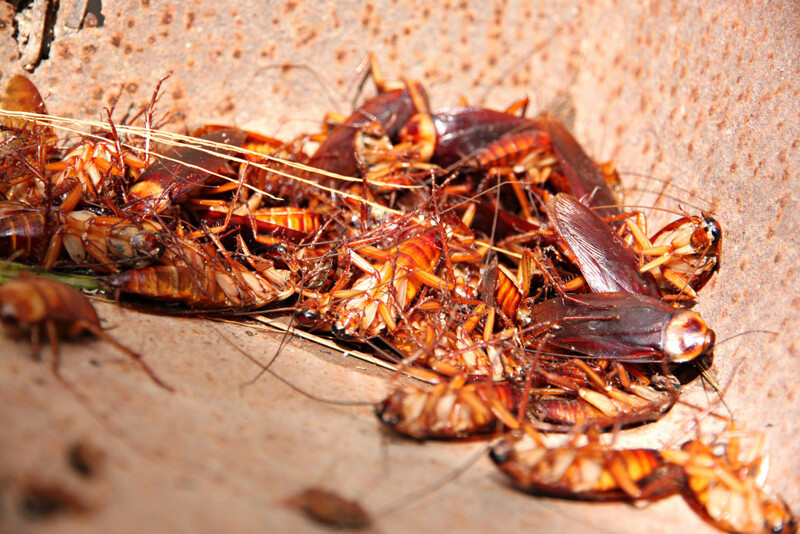 Identifying the right roach specie will help you obtain the right pest treatments for roaches. In Perth, there are brown-banded cockroaches, American cockroaches, sand cockroaches, oriental cockroaches, German cockroaches, Asian cockroaches and Australian cockroaches. Know about the species of cockroaches to get apt pest approaches. Note the size of droppings of cockroaches. You will get hold of droppings which look like coffee grounds and some droppings will be cylindrical in size. The small roaches will have droppings of coffee ground size and the large roaches will have cylindrical droppings. The musty odor will be emitted near the breeding zones of roaches. The egg cases which are oval in shape are found to be spotted near the infestation sites. At times, you will get to see dead roaches on your household items and floors. To exterminate the nasty roach pests, you will have to know where the infestation points are. You will not be able to spot the breeding zones of roaches, as these pests seek shelter in darkest zones. Handover the cockroach control service to our team of roach professionals. They will inspect all visible and invisible zones of your indoor and outdoor property. The pest officers will perform the assessment in a thorough manner, so that the infestation points are brought into surface. The inspection plans provided by our pest control company are quite affordable. Hence, latching on to the inspection plans will be one of your right decisions, as you will be able to eliminate all roaches from your living space at one go.